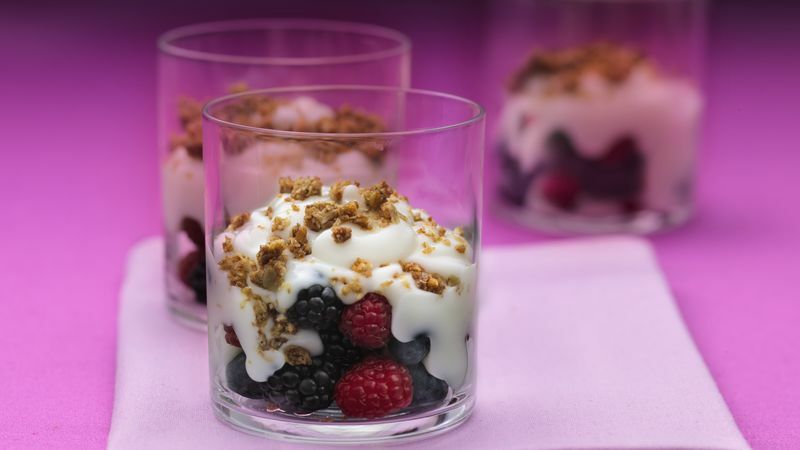 Divide berries among 4 parfait glasses or dessert dishes; top each with 1/2 cup yogurt. While granola bars are still in the pouch, break into coarse pieces with hands. Sprinkle granola pieces over fruit and yogurt. Serve immediately.